Kansas City, Missouri: sipVine, a premier Hosted VoIP provider based in Kansas City, announces today the addition of the Polycom VVX x50 series phones to the line up of phones certified on their network. "Since 2005, sipVine has primarily marketed Polycom and Cisco phones," states Robert Conner, sipVine CEO. "Both manufacturers produce high quality, easy to use phones that rarely have issues. 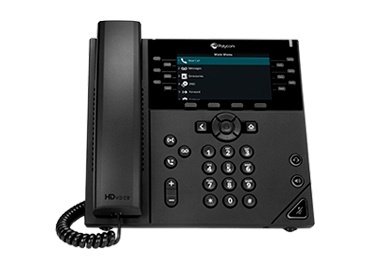 We are pleased to quickly certify the new Polycom phones to our service, rounding out the VVX series phones that are receiving great reviews from our customers." It’s hard to believe that just a decade ago, sipVine marketed our services to businesses as “digital” phone service, not VoIP. Why? Because VoIP was not a common term used among business owners, plus there was the negative connotation associating phone service of any kind and poor service (customer and utility wise). Times have changed. Today, a majority of businesses have shifted to using VoIP phone service. If they haven’t switched, then VoIP as an option certainly has been evaluated. Though VoIP service is as mainstream as using the cloud, one of VoIP’s most reputable providers, sipVine, is headquartered right here in your own backyard. Hundreds of Kansas City businesses have switched to sipVine for their VoIP phone service because of its quality and reliability. So much so that our most effective marketing has been and remains customer and IT company referrals. What makes sipVine so “referable” in an industry with so many phone service options? sipVine, a hosted VoIP phone service provider for businesses nationwide, announces the rollout of an all-call recording platform. To date, sipVine has offered an on-demand recording service, but for businesses with requirements to record all calls to a location, this new platform will serve them well. "For quite some time we've been providing work around processes for our customers who required all of their calls to be recorded," Colin Wells, sipVine's CTO, stated. "This new platform is a much more refined and efficient method of recording all calls at a location. In addition, it provides on-site storage and management of the recordings." The Call Recording Platform (CRP) consists of a device that resides on the network of a business location. It detects voice call traffic, records these packets, indexes the files, and stores the recordings. Also included is a management search tool, allowing for the quick seach of specific calls or ranges of calls by date, calling parties, receiving parties, and even duration. 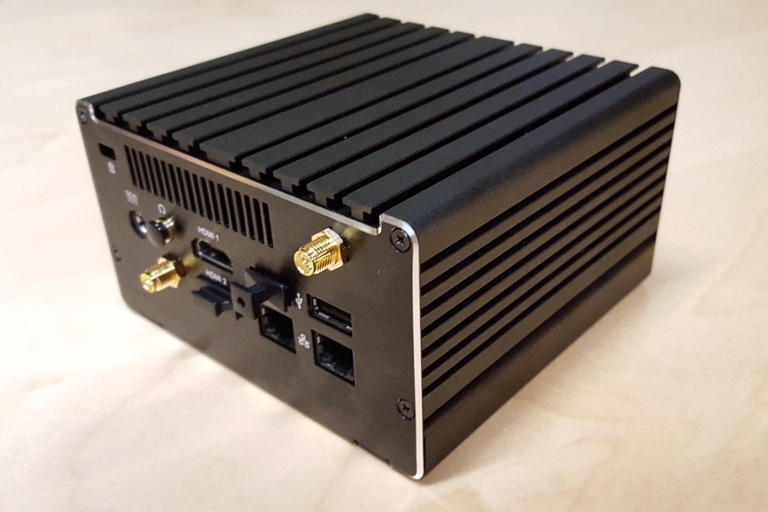 Despite its relatively small size, the device allows for 850 gigabits of storage, plus has USB ports for archiving or additional storage purposes. When sipVine Inc. launched in 2005, voice-over-internet protocol wasn't a common term and getting customers on board required some education. 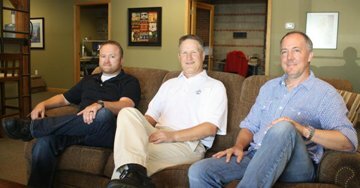 "It was a lot different sale back then," sipVine co-owner and vice president of sales and marketing Mark Greim said. Flash forward to 2016, and VoIP is the way businesses are going, he said. sipVine announces today that they have added a Customer Access Portal (CAP) to their Hosted VoIP phone service. This portal provides sipVine customers real-time access to call detail records and other productivity reports, call forwarding, call blocking, and other custom call management features. "The Customer Access Portal is the latest in new features we've added to our platform," states Robert Conner, sipVine's CEO. "As with most of our other feature enhancements, there's no additional charges applied to our service to add this functionality." The CAP will provide authorized customer users with an at-a-glance view of call trends and patterns, which may be very helpful to determine staffing and converage levels. Diving into the detail reporting, individual production can be measured and monitored. Inbound to main line reporting can provide some detail surrounding marketing campaigns and other drivers to call volume. "We've built the CAP platform to provide a foundation for future feature sets that can be driven through an on-line access," adds Colin Wells, sipVine's Chief Technology Officer. "If a customer has a specific report or call management requirement, such as assigning after-hours on-call staff, we can build a custom process within the portal to manage that activity. We do this today via input codes on the phone, but the CAP will provide a more elegent approach and remote access." KANSAS CITY, MO – sipVine announces today that it has been certified as a Google Fiber Tech Partner. Google fiber is currently rolling out services to businesses in the Kansas City metropolitan area and other locations across the country, and sipVine's hosted VoIP phone service, highlighted by its general approach to business, has been approved to be a part of the Tech Partner program. Google Fiber is offering an Internet connection that's up to 1,000 megabits per second, along with static IP options for businesses that need them. The Google Fiber Tech Partner Program identifies IT partners that can help small businesses through the services they offer and help them get the most out of the superfast speeds offered by Google fiber. Robert Conner, sipVine's CEO, states: "We are very honored to be selected to be a part of the program. We believe that our approach to customer service and our technical expertise surrounding the implementation of VoIP in business will resonate with Google Fiber business customers. We have several installations already that utilize Google Fiber, and can unequivocally say that these businesses are in great hands with the service and support offered by Google Fiber and sipVine." 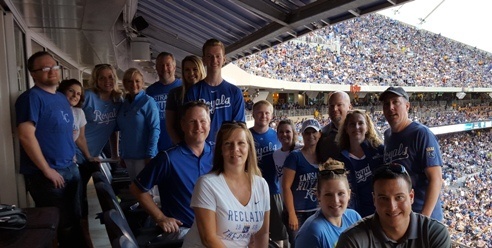 sipVine Celebrates 10th Year in Business..
KANSAS CITY, MO – Today marks the anniversary sipVine's tenth year in business. sipVine's CEO, Robert Conner, states: "This is a momentous and proud moment for everyone who has contributed to our growth and success over the years. For a tech start-up, hitting a ten year milestone is an indication that we are doing a lot of things right and are in this for the long haul. We have come a long way since our incorporation and humble beginnings in 2005." Colin Wells, sipVine's CTO, and Robert Conner are the founders and original employees of sipVine. Mark Greim was brought on as an investor and responsible for sales and marketing a few years later. The initial goal of the business was to create a hosted phone service solution for small and medium sized businesses, with a focus on delivering enterprise-level features and a voice quality platform that would be standard setting in the business VoIP marketplace. Colin Wells expands: "Call quality was a challenge for the VoIP industry. Bandwidth was not as plentiful and affordable ten years ago, so our first order of business was to solve this problem. With every installation, we provide a customer premise device that prioritizes voice packets over data, mitigating many of the issues that impact voice quality." sipVine has grown steadily and substantially over the years, with customers from coast to coast. Mark Greim states: "We're very proud of our results. We did not take on any debt or substantial outside investments, and still have delivered growth. This conservative approach has provided our customers with a fiscally stable provider, one they can count on for the long-term." What also has developed for sipVine has been a standard-setting philosophy and approach to customer service. Greim adds: "With our solution, we customize the delivery of the phone service to meet the unique needs of every client. Our processes are such that when customers call us for servicing, we route them to members of our service team who they have worked with in the past. Thus, unique to other major providers of VoIP service, our customers feel like they are talking to a member of their personal phone department!" 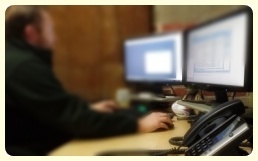 "It is important that every member of our technical support department stay in tune with the needs of our customers. There's no better way to do this than participate in the daily support needs with the customers. Engaging in our custom builds and supporting any requested changes keeps our team aligned with our customers and fulfills our desire to act as their phone department as opposed to a vendor of services." Kent brings solid technical expertise and experience to sipVine. Being involved in consultation and customer training in the past will provide a solid foundation for participation in our customer support activities. His background in Linux and core system programming will help sipVine continue to develop our feature set and continue to refine our service reliability and quality standards. sipVine is growing rapidly, and is currently interviewing qualified candidates to join our technical support team. A VoIP Systems Engineer is required to support our growth and advance our system's architecture and features. sipVine CEO, Robert Conner states: "We are in the process of adding several positions to our technical and operational support staff to ensure our high service standards continue to be met as we grow. We are very selective, as we are looking for people who possess all of the technical skills and expertise but also have the ability to develop solid relationships with all of our customers." If you are a candidate or know of anyone who may be interested, please click on the button below to view the full job description and submit a resume for consideration. NORTH KANSAS CITY, MO. – sipVine, Inc., a hosted business VoIP service company, has certified a new line-up of phones to the products they sell and support. 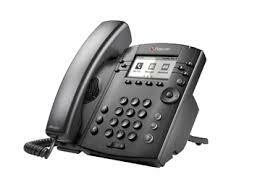 Today, sipVine will begin supporting the newest models from Polycom, the VVX Series. sipVine exclusively supports two of the top VoIP phone manufacturers, Cisco and Polycom. This action is driven by the quality, longevity, ease of use, and the general flexibility in provisioning of the phones.